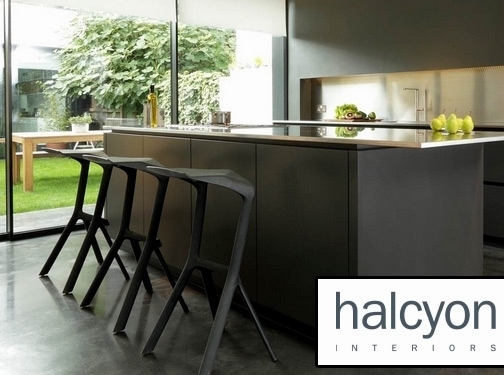 Halcyon Interiors has been creating beautiful, contemporary designer kitchens since 1981. Whether you aspire to have a rugged, industrial dining space or a gloss kitchen, the experienced team create and install bespoke designs to meet the vision and lifestyle requirements of every client. Operating across West London and Surrey, you can visit one of their three stunning showrooms to experience a German kitchen by Halcyon Interiors for yourself. The original showroom is located in Hatch End, while their newest branch - a beautiful, listed building in Beaconsfield - demonstrates how striking a contemporary kitchen design can look in a historic property. Finally, their showroom on Wigmore Street, West London, is open to show clients their exceptional range of ALNO kitchens. In addition to their creative designers, Halcyon Interiors offer a quality installation and aftercare service to ensure their clients are looked after at every step. Browse their online gallery to see some of their recent projects, including ultra-contemporary white and grey gloss kitchens, warm and welcoming wood-effect combinations and unique counter layouts for unusual spaces. Alternatively, book an appointment to visit one of their showrooms to see the beautiful collections for yourself. UK (London, Middlesex, Bucks) based business - established in 1981, and with 3 branches throughout the UK - providing interior design services. Website includes details of services provided, work examples, "meet the team" page, details of business premises, accreditations gained, blog, full contact details.